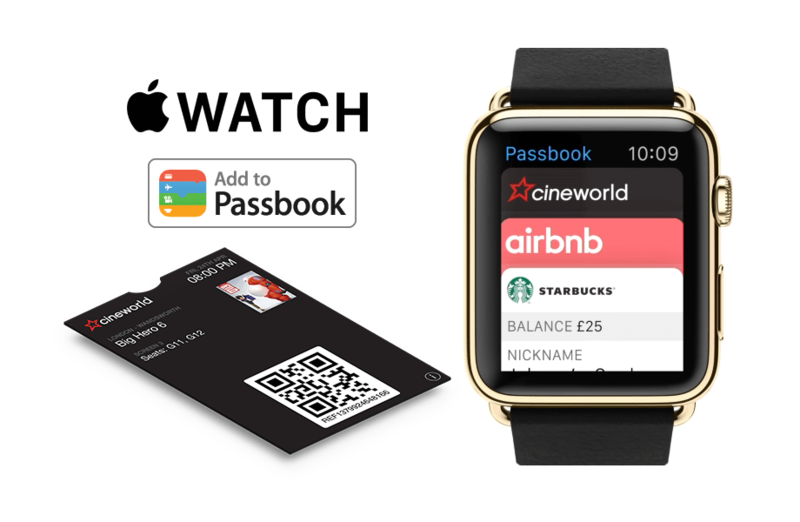 Apple Watch ad demonstrates Can Factory integration of a Cineworld Passbook on the Apple Watch. Can Factory collaborated with Apple to provide a prime spot for Cineworld in the UK Apple Watch ad with a snapshot of Cineworld Cinema’s Passbook eTicket integration in the Apple Watch Passbook view. The Apple Watch ad demonstrates Can Factory integration of a Cineworld Passbook1 on the Apple Watch. With pre-orders available from the 10th April 2015 excitement is building. The ad highlights the seamless integration and ease of use that Apple Watch owners will be able to take advantage of by simply presenting their Passbook passes – whether they are visiting Cineworld Cinemas or checking in for a flight with British Airways. As excitement in the UK continues to build for the release of Apple’s first step into the wearable technology marketplace, app developers are already anticipating the multitude of ways that the Apple Watch can be leveraged to improve the user experience of their mobile apps. Juniper Research amongst others have predicted significant growth for wearable technology over the next few years. With the Apple Watch release scheduled to be available in Apple Stores from 24.04.14, it will be interesting to see if the Apple Watch can outperform it’s competitors and if so, just by how far. You can see the ad on the Apple Watch site by clicking here. 1 Apple’s Passbook format is also compatible with Android and Windows phone devices.